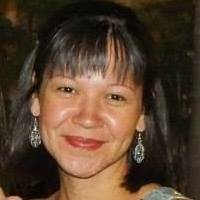 I met my husband when we were both freshmen in college. At almost 18 years of age, though he was past the active skateboarding stage, he was not out of the skateboarding culture or his passion for the sport. When the topic of skating came up with friends, my otherwise quiet and reserved boyfriend would suddenly excitedly shout out terms I had never heard before and he would ramble on about the contests in which he had participated. As we would drive through his childhood neighborhood on the weekends, he would reminisce about his earlier days of skateboarding in ditches, in front of convenience stores, and on his street. Back in the day, this was the world of skateboarding and of skateboarders – they were mini rebels, constantly searching the neighborhood for pavement that their boards could glide or grind on. These days, skateboarding has gone mainstream and communities have constructed safe skate parks with ramps, rails and “bowls”. More youth are skateboarding; however, the number of girls present in these skate parks remains limited. There are many reasons why we should encourage girls to try skateboarding. My skateboarder husband and I now have three daughters; twin twelve-year-olds and a ten-year-old. Skateboarding has been part of my daughters’ lives for many years. They each own four boards and we are currently in the process of building a halfpipe in our tiny backyard. And though my daughters are great swimmers, have participated in baseball and all share an intense love of basketball, skateboarding has given them some solid life skills unlike from any other sport or activity in which they have been involved. 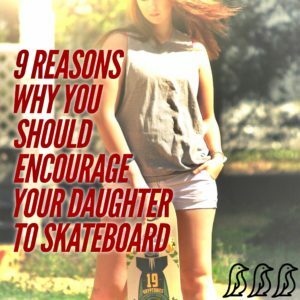 Of course, their love of skateboarding came directly from their Dad’s own love and passion for the sport, but the benefits of skateboarding has convinced me that other girls should be encouraged to join the sport. Here are nine reasons why. 1. Skateboarding teaches girls to overcome their fears and to be brave. It also teaches them to accept failure. Skateboarding has now been a part of my daughters’ lives for as long as they can remember. They have fallen hundreds of times. They have seen their dad, at 42 years old, bleed while skateboarding. They have seen other skateboarders attempt new tricks but fail again and again. My girls have gotten back up and grabbed their boards. They’ve seen their Dad wipe the blood away, throw on a bandage and grab his board. They have seen their fellow skateboarders eventually master a trick that seemed impossible two to three weeks prior. Skateboarding teaches girls to be brave. It teaches girls to be ok with failure and not ok with giving up. Girls become comfortable with allowing their fear to guide them in understanding their physical limitations while learning to push their limits in spite of their fear. My daughters love roller coasters. They love action. Skateboarding is an action sport that can give girls a taste of adventure and a venue for experiencing a thrill in a safe and productive way. Skateboarding is a sport without rules. There are no limits on what a skateboarder can do; new tricks are constantly being created. And, once the skateboard and safety equipment have been purchased, participating in the sport is free. Skateboarding is an art form; it allows for girls to be creative and express themselves. One of my twelve-year-old twins loves to “drop-in” on ramps. Standing on the edge of the top of a half-pipe ramp, she pushes most of her weight to the back of the skateboard while her front foot rests strategically on the front. When she’s ready, she forces her body down towards the ground of the ramp, bends her knees and rolls down. She can do this repeatedly all afternoon. Her twin has no interest in “dropping in”. Instead, she loves zooming around the inside of the skate park bowl. A bowl pretty much resembles a drained swimming pool. When she picks up enough speed, her petite frame rides around the inside of the bowl almost parallel to the ground. My youngest one, at ten years, enjoys the wind blowing through her hair as she glides up and down the short hills in the park. All three of my girls enjoy skating just the same, but each of them have a different way of creatively expressing their individuality. I asked one of my daughters if the skills she’s developed from skateboarding has helped her in anything else in her life. She told me, “When I try to do something for the first time, I’m a little scared – but when I think about it, I know I can do it because I’ve overcome fears in skateboarding.” Girls also learn to appreciate their own abilities. In many schools across the US, achievement is expressed in grades and test scores, and a student’s level of success is determined by comparing their test scores to that of their peers. Skateboarders understand individuality and find true value in individual achievements. They feel a sense of personal pride in meeting the goals they set for themselves; because the skateboarder is ultimately in charge of their own learning, skateboarders are also practicing self-discipline and self-determination – essential skills for success in life. Skateboarding also gives girls a way to see that taking healthy risks can lead to accomplishment. This sense of accomplishment means girls gain better self-esteem and confidence. Skateboarding is tough. Skateboarding is exercise. According to Everskate, skateboarding burns calories, helps build endurance, increases flexibility, improves precision and motor coordination, increases pain tolerance, and teaches fall prevention as well as how to fall correctly. Skateboarding also gives girls better balance and better muscle tone. Participating in sports on a regular basis fights obesity, diabetes, and promotes a healthy heart! 7. Skateboarding is a sport that works with a girls’ schedule as it can be done on their own time – unlike waiting for team sports schedules. With demanding school, family and social schedules, fitting in a fitness routine can be challenging. Trying to find a sports team or a scheduled sports lesson that fits your daughter’s limited free time can be difficult. Or, you may find that being on a sports team or taking part in sports lessons is terrific for your daughter two to three days a week, but she would like to do something else physical for a little while on other days. Skateboarding affords children a chance to be active for as little or as long as they would like, whether they want to grab their “penny” board and glide down the sidewalk for twenty minutes or they want to grab another board and hit the quarter pipe for a couple of hours or to try out new tricks; the amount of time a child invests is up to the child and the parent. 8. Skateboarding can be a great beginning or extension of future sports that last well into adulthood, like snowboarding and surfing. Although you may not see many fifty year olds carving it up at your local skate ramp, if you visit the beaches of Hawaii or California, I can guarantee you will see more “mature” surfers in the water as it can be a relaxing but great form of exercise for those who have developed good balance and who seek a sense of peaceful adventure. 9. Skateboarding brings girls into a new community with other skaters. Skateboarders belong to a subculture where praise comes from their fellow competitor. Visit a skate park and you will see how beginners and semi-professionals take turns sharing a skate ramp; the “one rider” at a time rule is consistently applied from park to park. Master a cool trick and you will hear words of encouragement from nearby skateboarders. Fall without serious injury and you will see on the face of fellow skaters, an encouraging look to get back up and try again. And, as my husband exemplifies, if you are part of the skateboarding community or subculture, you are a lifelong member. As in many other segments of our society, girls are missing out in this male-dominated sport. Girls should be encouraged to take up Skateboarding not only for the obvious enjoyment it provides but also for the indispensable skills it offers its participants.